Solar PV (Photo Voltaic) cells convert sun energy into electrical energy, thus using cleaner way to generate power. During day time, generated electricity supplied to the connected load & balance energy get stored into Batteries, for night time consumption. 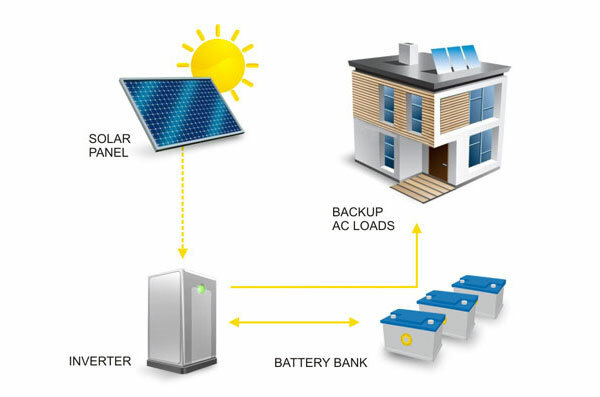 Depending on the specific power back up requirements at site, Batteries and inverters are added into system. ● Common area lighting like staircase lights, stilt parking lights, terrace, gate lights, club house etc. ● Residential loads like PC, fans, lights etc.